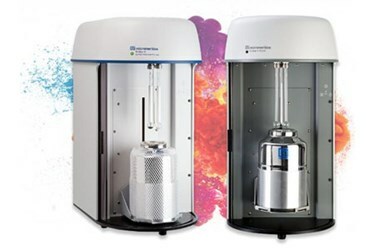 The TriStar II is a fully automated, three-station, surface area and porosity analyzer that delivers high-quality data. It is capable of increasing the speed and efficiency of routine quality control analyses, yet has the accuracy, resolution, and data reduction capability to meet most research requirements. Surface area and porosity are important physical properties that influence the quality and utility of many materials and products. Therefore it is critically important that these characteristics be accurately determined and controlled. Likewise, knowledge of surface area and especially porosity often is an important key to understanding the formation, structure, and potential application of many natural materials.